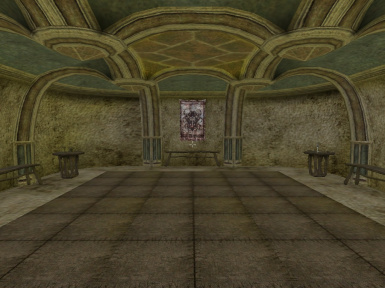 The Tribunal Temple saw the site of Indarys Manor as an opportunity to assist those making the pilgrimage to Maar Gan and other places to the North. 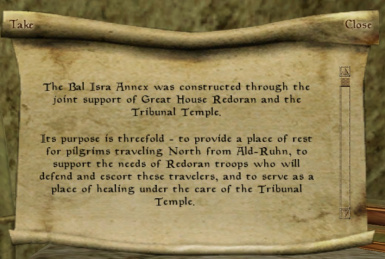 With the close relationship between the Tribunal Temple and House Redoran, the Bal Isra Annex was designed and constructed into the hill behind Indarys Manor. 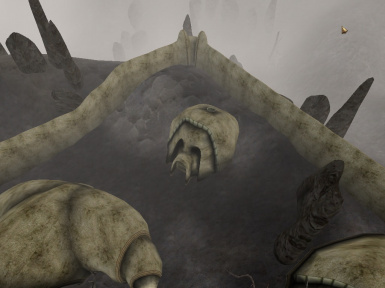 It provides a resting place for pilgrims on foot, extra guards to help secure the roads in that area, and Temple priests to minister to those in need. 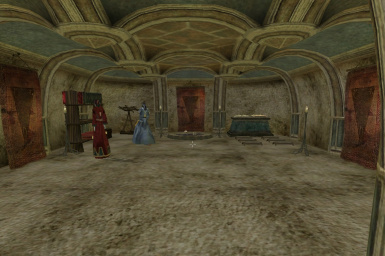 One of the priests can also transport you to the Temple in Ald-Ruhn for a small donation. 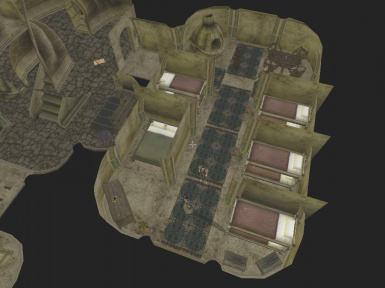 Inside, the upper level has a dormitory for travelers, a barracks and training area for the guards, and an armorer to assist you in your battles. 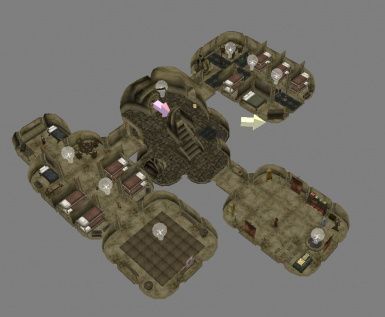 The lower level has a Temple area with housing for the clergy. Special Thanks to Greg Plecko from the Morrowind Mods group on Facebook for putting on his Lab Rat costume and testing this mod for me. MAJOR Special Thanks my wife Lisa for dealing with my one track mind while I've been working on this.